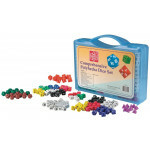 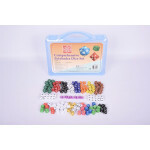 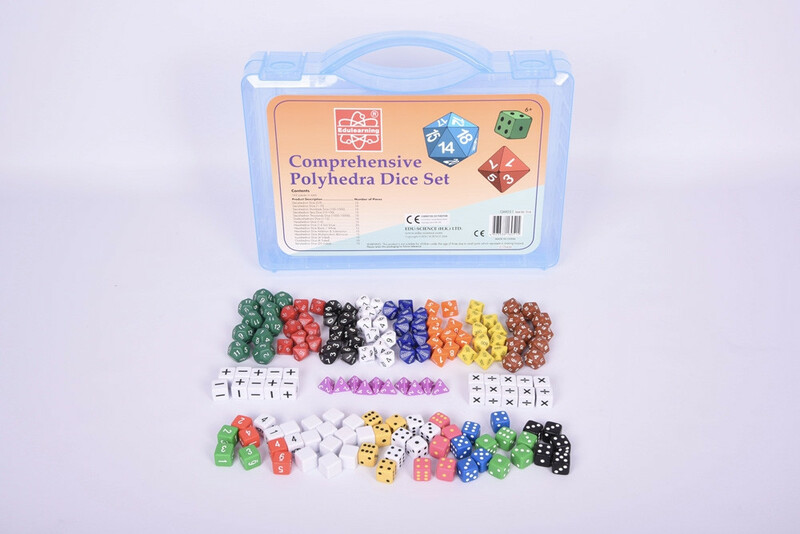 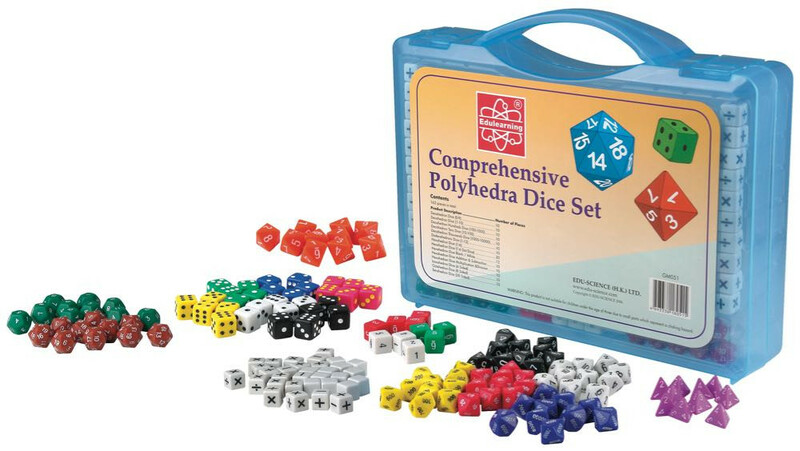 Set of polyhedral dice in assorted colours contained in a handy plastic storage case. 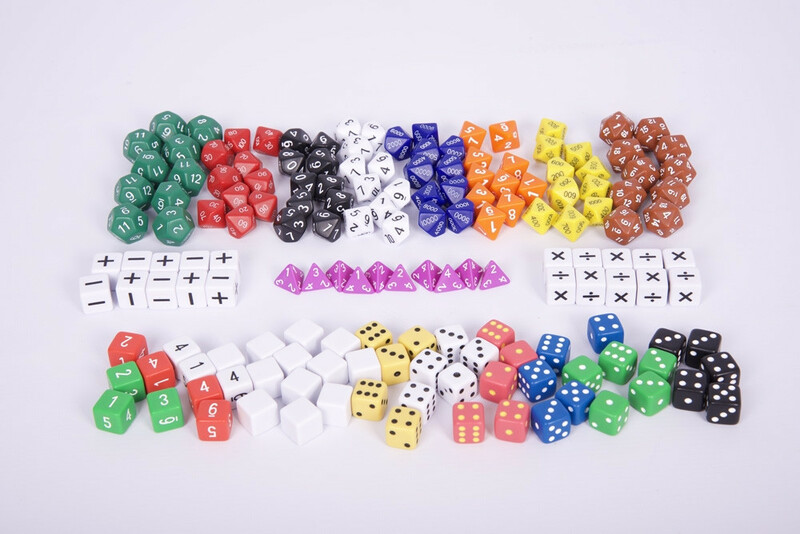 Size of dice: 16mm. Pk162.